Welcome kits are becoming an increasingly important aspect of the onboarding process for most companies. When a new hire joins your team, it’s important to make them feel welcome and integrate them into the company culture and the social climate of the workspace. What better way to do that than with some welcome kit swag. Of course, you want to make sure you get every aspect of the welcome kit right. Throwing together a few odds and ends you have lying around the office isn’t going to cut it anymore. You need something that’s picture perfect. 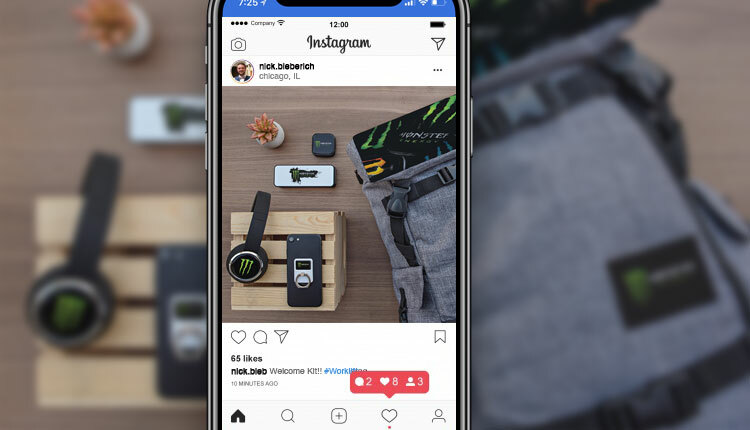 Indeed, a truly great collection of new employee promotional products can ultimately find its way to Instagram or other social media websites, acting as a free advertisement for your brand. So, not only are you welcoming your new employees to the office, you’re also getting some good marketing out of the deal. Of course, the most important aspect of a welcome kit is to help get your new hires acclimated to their environment and ready to start working. So, you need to ensure that your welcome kits include items that are both cool and functional. We’ll let you know how to do that below. Before we discuss any Instagram-worthy welcome kits, it’s important to understand why these kits are important at all. For starters, employee onboarding practices are increasingly becoming important indicators of the success of any new hire. Why Give Out Welcome Kits? A 2015 study by Glassdoor showed that companies that had a high-quality onboarding process were 82% more likely to retain new hires. On top of that, good onboarding practices correlated to a 70% increase in productivity. Everyone wants to be valued, and a great way to do that is by offering a little bit of swag with a welcome kit. If an employee’s first day involves free stuff, they are automatically going to feel more welcome and ready to join the team. You can do this with promotional items without breaking your budget. They are affordable and go a long way. Obviously, a lot more goes into the onboarding process than just a few nice gifts, but they can undoubtedly go a long way in introducing new hires to the company culture. Apparel is commonly found in welcome kits and can often act like a sort of team jersey that can elicit company pride. Items of clothing are also great ways to get your brand name out there even when your employees are not on the clock. In fact, many promotional products work as effective advertisements because they get frequent use outside the office. In some instances, new employees will be so enamored with the products in their welcome kit that they will tell their friends or, yes, share a photo on social media. This again works as a different form of advertising that the company receives just by being nice to their employees. That doesn’t sound so hard, does it? With all of those advantages, it’s hard to imagine why you wouldn’t want to infuse your new employee onboarding process with a little swag. But, how do you get the most out of your welcome kit strategy? What Do You Put in a Welcome Kit? These are documents and pieces of information that every employee needs to have. You could deliver this information via paper documents, but that might start your new hire off on a bit of an overwhelming foot. Instead, why not try to include some of this information on a custom USB flash drive to cut down on paper use? Obviously, it keeps those details in a convenient location that won’t be easy to lose, and it gives your new employee a flash drive they can later use at any time. Credit card flash drives might be a good idea so that employees can simply keep the drive in their wallets. Regardless of whether or not it’s on a flash drive, paperwork isn’t going to make for an Instagram-worthy welcome kit. There are many other items that could and should make their way into any given kit. In addition to practical paperwork, your employees will also need some functional items. These products encompass any tools that new workers might need to use on a daily basis. For instance, a very common piece of functional equipment that you might find in a welcome kit is a laptop. To complement that, you might want to add a custom laptop bag into the welcome kit to make transporting the laptop as easy as possible. Obviously, not every position is going to require the use of these items. Thus, you can’t always have a one-size-fits-all welcome kit that you hand out to every new employee. Still, there are countless functional items that your new employees will need in order to do their jobs successfully. That stuff might as well have your company’s branding on it. In fact, many functional items, like notebooks or laptop bags, will end up making their way outside of the office and providing some exposure for your logo. Last but not least, we have to discuss the “cool” items that are the most likely to be seen by the general public. Many of these products serve a functional purpose, but aren’t really integral to the performance of any given worker’s job. Still, it’s nice to have a few of these items. One of the most common new employee promotional products is a water bottle. This obviously serves a functional purpose (holding a beverage) while being a visible advertisement in your employee’s everyday life. You can even go with top brands like h2go or S’well to show just how much you care. You can also go with any other form of drinkware. Coffee mugs are especially prevalent because virtually everyone drinks coffee at some point or another. Everyone needs to be able to charge their phones, and there’s no better way to do it than with a charging device that features company branding. These devices are also a great way to show your support for your incoming employees. Another great tech product is a pair of headphones or earbuds. In addition to being cool, these devices are also occasionally necessary when employees need to listen to things in private. Again, headphones are also often used in public settings, allowing for your branding to be broadcast to the world. It may also be a fun idea to include a few kitschy items that your employees can use periodically while at the office or at home. Stress balls are an old go-to, but newer items like PopSockets or fidget spinners can also bring a little joy to your new employees. In general, you can let your imagination run wild. Anything that falls under the category of “cool” and “fun” can be a great addition to an employee welcome kit. At the end of the day, you just want to make your new hires feel welcome and happy about their position at your company. Free gifts are great, but free gifts that actually provide value to your employees are even better. Who knows? Maybe your ingenious welcome kit will end up being lauded on Instagram in the near future. Contact us today to get started on that path.